RENTON — The Seahawks continued to add to their offensive line Saturday in the NFL draft by taking center Joey Hunt of TCU in the sixth round at pick No. 215 overall. Hunt is the third offensive linemen taken by Seattle following tackle Germain Ifedi of Texas A&M in the first round Thursday and guard Rees Odhiambo of Boise State in the third round Friday. It’s the second consecutive year Seattle has taken three offensive linemen in the draft, as the Seahawks attempt to shore up what has been a problem area in recent seasons. 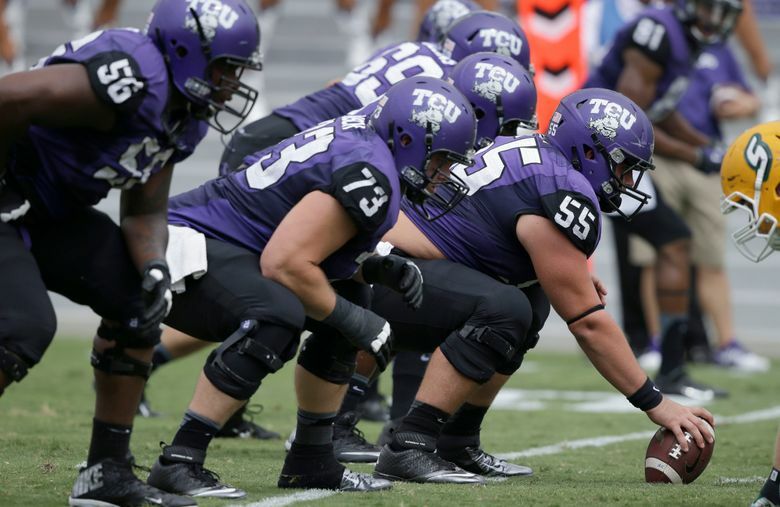 The 6-foot-1, 299-pounder also played guard and was a three-year starter at TCU. Hunt was an All-Big 12 first-team selection last season in starting 10 games for an offense that averaged 564.3 yards per game, third in the nation. He started 35 consecutive games for TCU before suffering a knee injury in November and sitting out the rest of the year.